From Saturday till Thursday in Ramadan 2016, Eureka Electronics branches open from 10:00am till 4:30pm and then from 8:30pm till 1:00am. On Fridays, Eureka Electronics branches open from 1:00pm till 4:30am and then from 8:30pm till 1:00am. 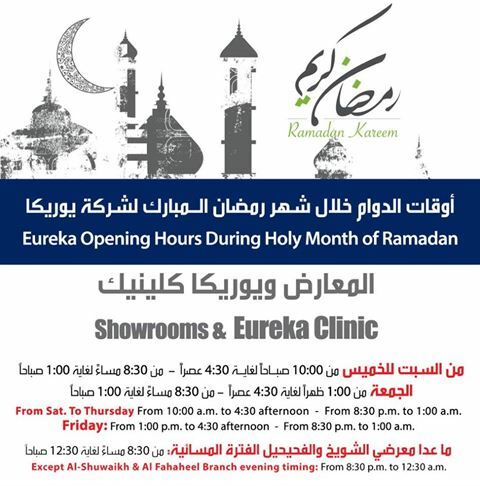 Note that only Shuwaikh and Fahaheel branches open from 8:30pm till 12:30am after Iftar.